Patty is a very skilled teacher. She loves working at Henderson and working with students. She had been working at GHHS as a math teacher, but discovered she works better with smaller crowds. Patty loves being outside and exploring this lovely world we call home. She also appreciates being able to open up students to the world of math as well as working one on one with students. 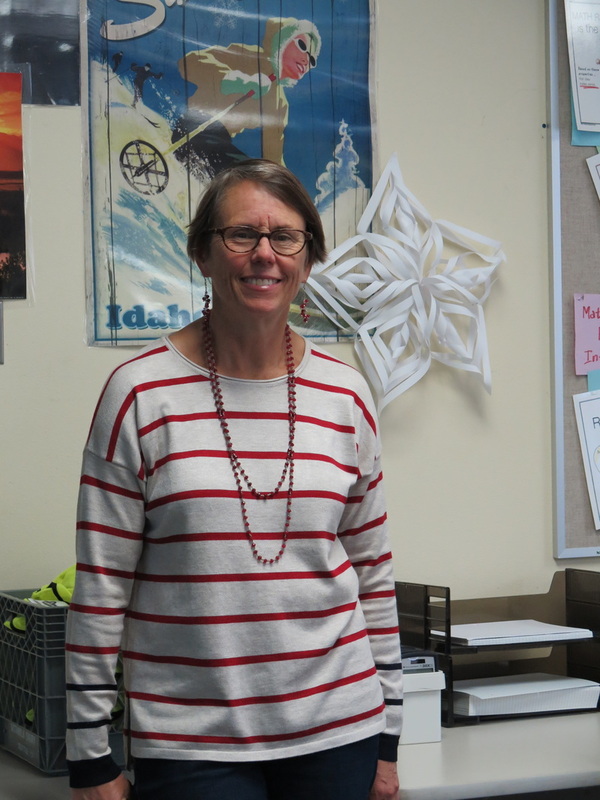 When she came to Henderson she saw an opportunities to work closer with her students and to help teach them more. And, from what i've been told, she is a pickle ball champion as well. What lead you to working in schools? I enjoy being with teenagers. Why did you select Henderson? I realized I am an introvert, and would be better suited to a smaller environment. connections between Math and the world around them. college Geology professor, who saw me as more than just a good student. I babysat for him, and he taught me to make bread. around the San Juan islands, and get my kitchen redone! ​ Chicago more than usual.